I was at dinner recently with a couple of dear friends who among us combined have 140 years of experience as practicing veterinarians. We reminisced how what once entered the front doors of our veterinary hospitals has changed from the late 1970s and 80s when we first started practicing. In the 1970s, we routinely saw canine distemper, feline panleukopenia, flea allergy dermatitis (and anemia), pot-bellied puppies from roundworms, anemic dogs from hookworms, pets hit by cars, pyometra, and mammary cancer. Preventive care, including routine vaccinations, parasite control, and routine spay/neuter, have reduced the incidence of these diseases or conditions to the point that many younger veterinarians have never seen a case of canine distemper. If you practice in areas similar in climate to Northern Idaho where I live, you might never see a case of severe anemia from a massive flea infestation. I don’t think anyone is complaining about these positive changes, but they highlight how we had to embrace things that we overlooked or were lower priority years ago—dental disease, pain detection and treatment, and behavioral and nutritional counseling. But there’s a seismic change shaking pet care that may have happened so slowly that you didn’t notice, or you’ve failed to see how we need to adapt to secure our futures in the animal health care space. I remember getting my first pet, Luke, a black Labrador retriever, in the late 1950s. Prospective pet owners like my family scanned the Sunday classifieds, which featured dozens of listings for every make and model of purebred puppy you could imagine. We didn’t go to the local pet store (there wasn’t one) or shelter (there wasn’t one for 30 miles). We used our rotary telephone to dial the number in the ad, get the address, and arrange for a time to meet. The whole family rode in the car to the house and found the litter of pups romping around the haystack, in the barn, on a porch, or, rarely, inside the house. You picked out a pup, mom or dad paid by cash or check, and that was it. Your first stop after buying Puppy Chow was the vet’s office for puppy shots. The doc examined the dog, wormed her, gave her first shots, and sent home more wormer and a card to return for boosters. Of course, there rarely was discussion about early spay neuter, dental care, nutritional counseling, or heartworm. The next time doc expected to see this patient was for yearly booster vaccinations, if she were sick or injured, or to put her to sleep. This model served veterinary medicine very well for a long time, thanks to low overhead, minimal competition, and nonexistent pricing resistance. How many purebred puppies do you see in practice now versus 50 or 40 years ago, or even early in the millennia? What you see now are mostly adult shelter dogs. Today’s would-be owners don’t look for a purebred puppy in classifieds, online, or in a store; they follow the beaten path to the local shelter or Petfinder.com to adopt adult mixed-breed dogs. Some estimates put the number of homeless/shelter pets euthanized from about 20 million annually in the early 1980s to fewer than one million now. While this is thanks to prayers and many proactive steps on the part of the veterinary profession and other animal health care professionals, it poses a potential serious problem for us and for the health, happiness, and longevity of pets. I practice in Sandpoint, Idaho. I also serve on the board of four amazing Northern Idaho shelters. I still get the occasional thrill of puppy breath, but I’m much more likely to see new pet owners with an adult dog or cat or kitten for the complimentary first exam that is part of the adoption fee. But the statistics of how many are adopted from shelters and how many actually visit a veterinarian for follow-up visits shows a disturbing trend. New pet owners view the defacto pet health expert as Dr. Google or someone at a local pet store—not a veterinarian. Most shelter pets already have been spayed/neutered, wormed, and vaccinated. Millennials and others think the first stop is the local pet store or other retailer, where they shop in person as part of the experience economy. Their first thought post-shelter is to buy food, bowls, a collar, a bed, toys, etc., at the pet store/big-box retailer. While they’re there, a trained employee upsells superpremium diets and parasite control. 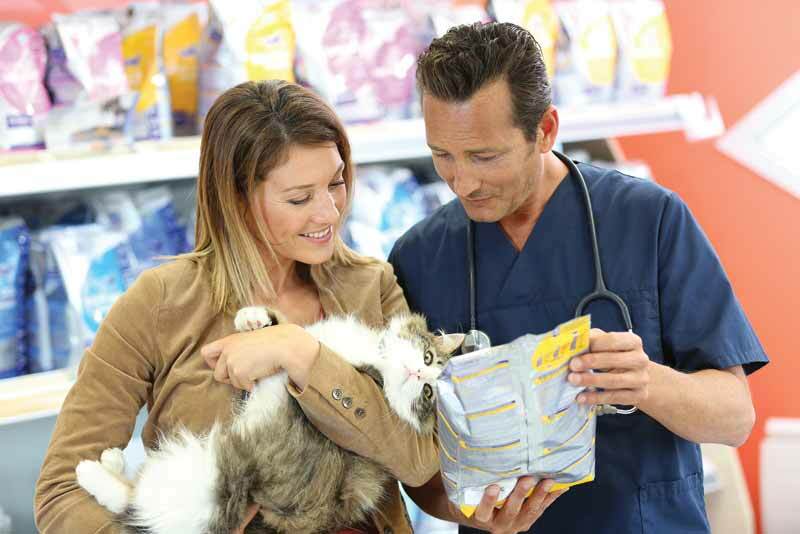 When they leave the pet store, smiling, with their pet, toting heavy purchases that left their bank account much lighter, are they thinking they have a compelling reason to visit a veterinarian in the near future—or at all—unless the pet is sick or injured? The answer—increasingly “no”—affects not only our financial health, but also our relevance to what’s most important: pet health and well-being. John Payne, CEO of Compassion First Pet Hospitals, warned that the veterinary profession is in danger of losing relevance to pet stores and online “experts”; once that relevance is lost, it’s near impossible to regain. We can’t help pets we don’t see, and that’s what makes these current trends alarming. So what can we do to reverse this trend, get upstream of pet stores, and develop relationships with new pet owners? Remind them that no professionals other than veterinarians have the education, training, and experience to prevent, detect, and treat disease or mitigate behavioral problems. Puppy classes. In some parts of the world, like Australia, about three quarters of veterinary practices hold puppy kindergarten classes at their clinics. New pet owners know that’s where they go to get recommendations on products, services, and basic behavior and socialization for pets. A recent study (not yet published) by boarded behaviorist Theresa DePorter, DVM, ECAWBM, DACVB, found that veterinary hospital-based puppy classes create a strong bond between the owners and the practice, and that 94.4 percent of the puppies who went through the class were still in their homes two years later, compared to 34 percent of the pups who hadn’t taken the class. Give shelter. Give your time, money, and expertise to local shelters. Become a best friend to pets and the people who work there; work hard to make shelter employees your clients. Embrace Fear Free and Fear Free Happy Homes. 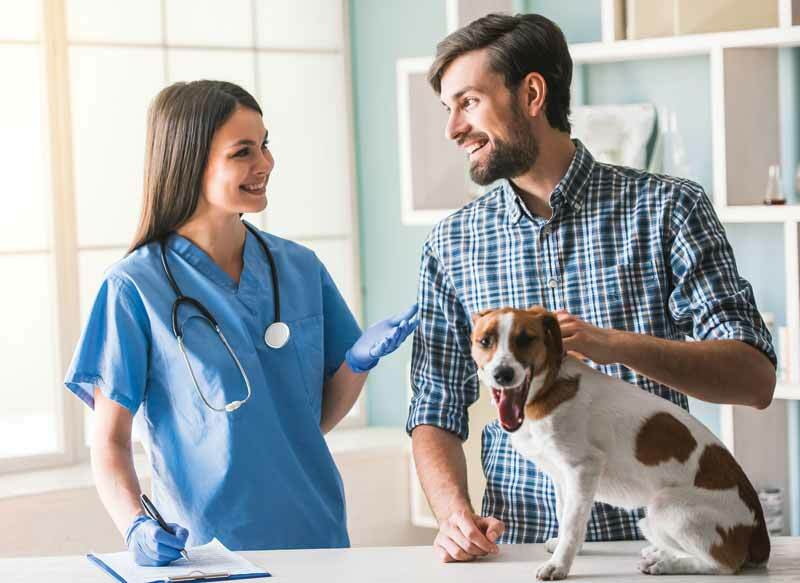 By looking at both the physical and emotional well-being of pets, we are providing a valuable service to both pets and pet owners—something that is unavailable elsewhere, making a veterinary visit part of the experience economy, and creating a national consumer brand to drive pet owners to the true pet health expert: the local veterinarian. Dr. Marty Becker writes every other month for Veterinary Practice News. He is a Sandpoint, Idaho, practitioner and founder of the Fear Free initiative. For more information about Fear Free or to register for certification, go to fearfreepets.com.